The Blog Is Back 2018! Home Latest News The Blog Is Back 2018! What a start to the year, it has been fabulous, we have had some lovely comments from parents about our Flintshire Music Makers group at Parkfields in Mold. One parent said to us…’my son is a lot calmer at school since he has been involved at Music Makers over the past year. His concentration is also better. 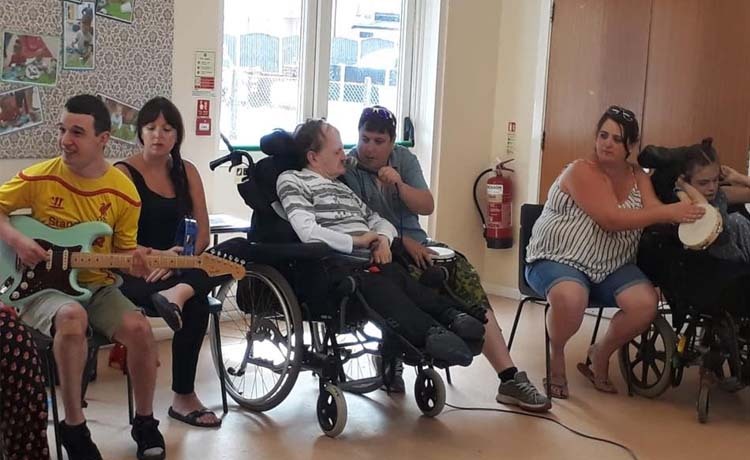 The Music sessions have really helped him’ What great feedback and what a fantastic group. Mum’s, Dad’s, brothers and sisters all welcome to join in and we have regular families attending. We also have Sam who is a social worker on the learning disability team at Flintshire County Council coming along to sessions once a month to support families and get involved in what we are doing. We really hope you are following our Facebook page, which has lots of pics and videos of our day to day courses and activities! Also check out our Twitter which I am finally getting round to learning how to tweet etc! We are looking forward to what 2018 is going to bring in terms of people’s creative ideas and we can’t wait to work with people and support them to express themselves and learn new skills and most of all get out and about performing. Watch this space! £15,000 Scale Up: Lloyds Bank Social Entrepreneurs Programme Funding Awarded!